Cadillac Repair in Orlando | C & G Auto Center Inc. Looking for a reliable and trustworthy auto mechanic to maintain and service your Cadillac? Then C & G Auto Center in the Orlando, Davenport, and Winter Park area would love to be your auto repair experts. Our outstanding auto repair technicians want to give you and your Cadillac exceptional customer service to keep your Cadillac running optimally. Whether you drive a Cadillac sedan, coupe, or SUV, at C & G Auto Center in the Orlando, Davenport, and Winter Park area, we service them all. We understand that Cadillac owners love the prestige and power of the iconic Cadillac brand, and we’ll treat your Cadillac with kid gloves. After all, the Cadillac brand is an icon in the American automotive landscape--an icon we would like to preserve. Despite its stellar reputation, Cadillacs still require frequent maintenance and repairs. You wouldn’t want just anyone to handle your Cadillac. Our trusted auto technicians are your allies in making your Cadillac purr like a kitten. We treat you like family because we believe it pays dividends. Not the money type of dividend, but the type of dividend we get when we treat people the right way. We have twelve bays, four technicians, and two service advisors for anything your Cadillac needs. If you’re in the Orlando, Davenport, and Winter Park area as a tourist, we’ll give you a reasonable rate, and we have a nationwide warranty of 24 months / 24K-miles for your peace of mind. 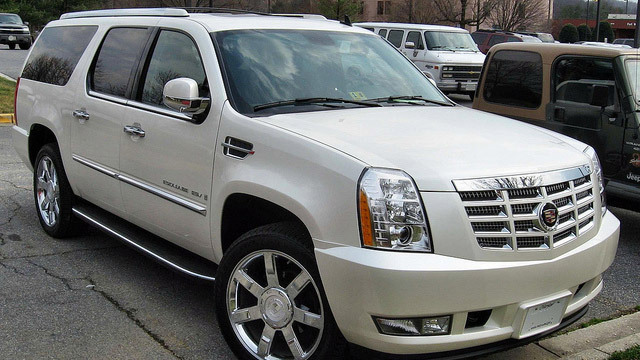 We can shuttle you to the amusement park while we take good care of your Cadillac. Plus, we have a special deal with a towing company, so we can deliver your Cadillac to you because we realize that your time is valuable. “People are awesome here! I came in for alignment and discovered that my car had bigger problems than that and until I have it fixed, alignment would be just a waste of money. Gabriel was beyond just nice, he tried to find parts that were missing even tho they don’t do that kind of repairs in this shop. He also provided me with contacts of a couple shops which can help me , saved me from having an unnecessary service and was extremely helpful and friendly. I’d bring my car only here from now on. They made my day!” -- Alena V.
If you’re putting off choosing an auto repair specialist to service and repair your Cadillac, look no further! At C & G Auto, we put your needs first. Pick up that phone right now and give us a call. Schedule an appointment today, or stop by. C & G Auto Center is located at 4155 W. Oak Ridge Rd., Orlando FL.